Custom fit your base with Revolution Pro Foundation Mixers. The ultra lightweight, water-based formula mixes seamlessly with Revolution Pro Foundation Drops and most other foundations. Ideal for summer, Darkening corrects too-light foundations, tinted moisturisers and concealers. Mix a few drops as needed into your favourite base Products. Explore the entire range of Foundation available on Nykaa. 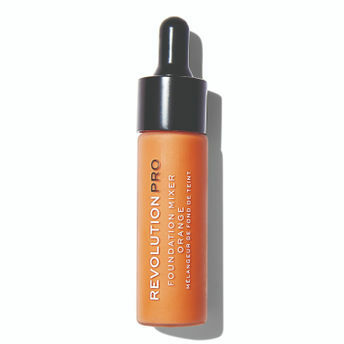 Shop more Revolution Pro products here.You can browse through the complete world of Revolution Pro Foundation .Alternatively, you can also find many more products from the Revolution Pro Foundation Mixer range.